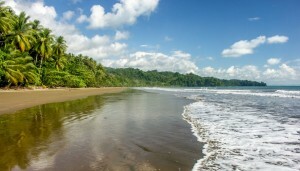 Relax in rural costa Rica, surrounded by coffee and sugar cane plantations. Casa Turire is open year round. Casa Turire, built in the style of a Caribbean plantation, ouzes subdued elegance throughout the property. 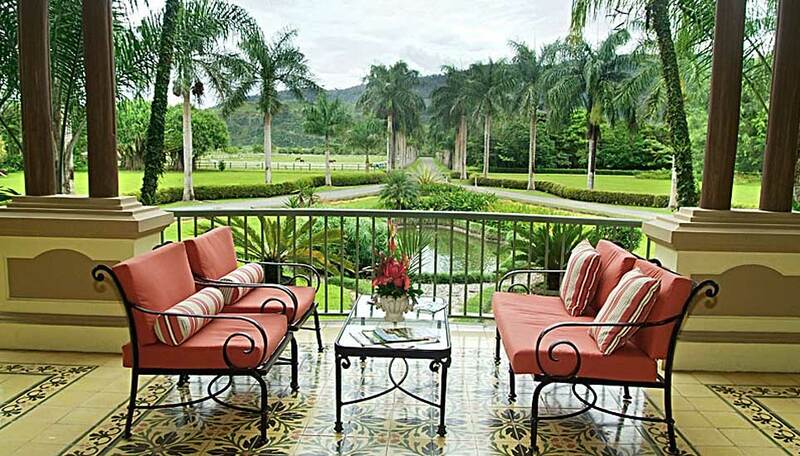 Built on a working coffee, sugar cane and macadamia plantation a stay here allows you to soak up the stunning surroundings of rural Costa Rica. 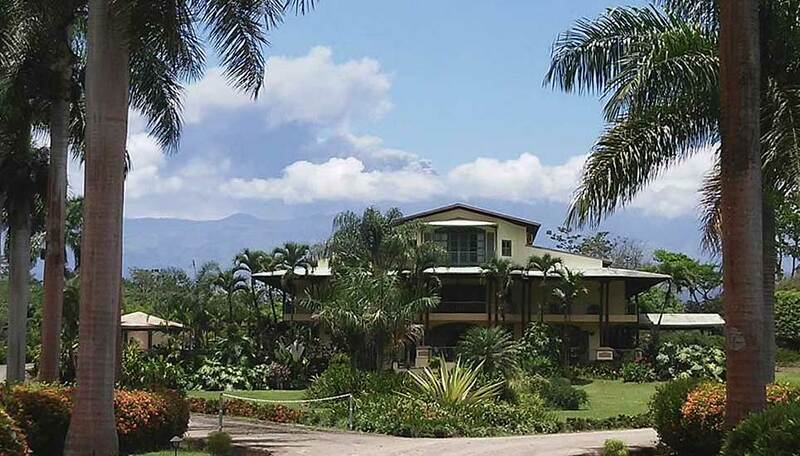 The estate is adjacent to Lake Angostura and has the imposing Turrialba Mountains as a dramatic backdrop. Each room has subtle and elegant décor, enhanced by polished wooden floors, and a private balcony where you can enjoy the unprecedented views over the landscaped gardens and beyond. Take a stroll through the grounds or relax and enjoy the views from the pool. The restaurant, popular in the area, serves excellent food from fresh produce sourced locally. There is also a spa offering various pampering treatments including a volcanic mud and chocolate body wrap. Why go to Casa Turire? 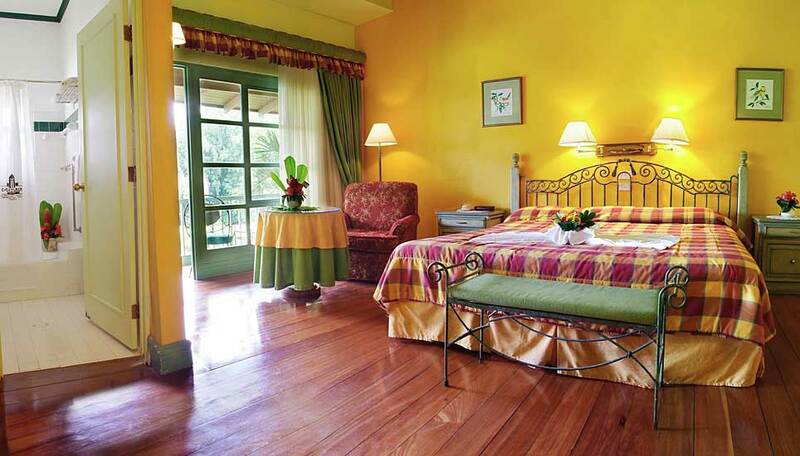 Casa Turire is a wonderful getaway to the beautiful rural landscape of Turrialba. The location is, quite simply, perfect. 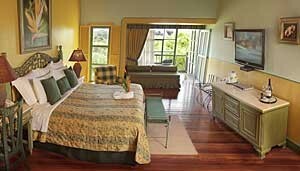 Nestled in the heart of coffee and sugar plantations with rolling hills all around. There is plenty to do here, either slow paced or action packed. 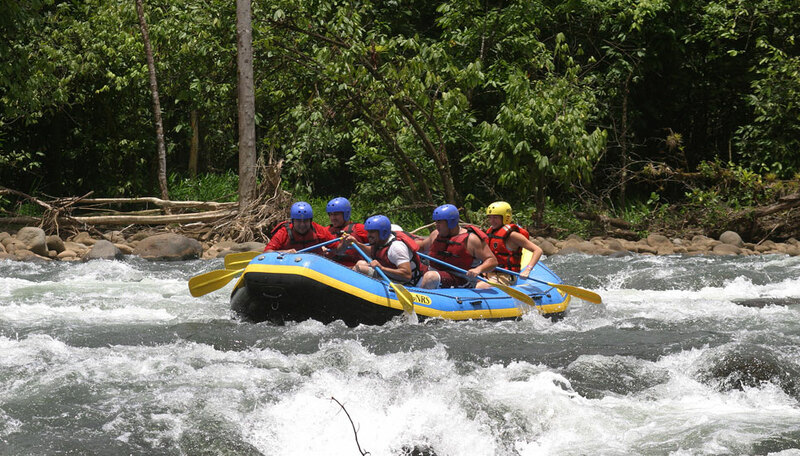 Turrialba offers some amazing tours such as white-water rafting, canyoning, hiking in the rainforest, birdwatching as well as visiting national parks or botanical gardens. There really is something for everyone here! The Turrialba area is ideal for birding, with many different ecosystems thriving here due the different elevations found in the valleys & mountains. It is also possible to visit private reserves located nearby, all within a 40 minute drive. There are excellent options for hiking, trekking, trail running or leisurely walks to see white faced monkeys, two or three toed sloths, birds, hawks, falcons. It is also possible so see some smaller mammals such as armadillos, possums or wild rabbits. An early start is recommended before the day gets too hot. Sitting behind the wheel you have a front row seat as you travel through stunning forest, mountain and coastal scenery, your personal odyssey through this extraordinary country. Children under 4 stay free. Children 4-12 pay a nominal charge. This classy boutique hotel has 12 elegant deluxe rooms and 4 suites, all decorated to a high standard. Deluxe Rooms These are spacious, beautifully decorated, comfortable and welcoming. 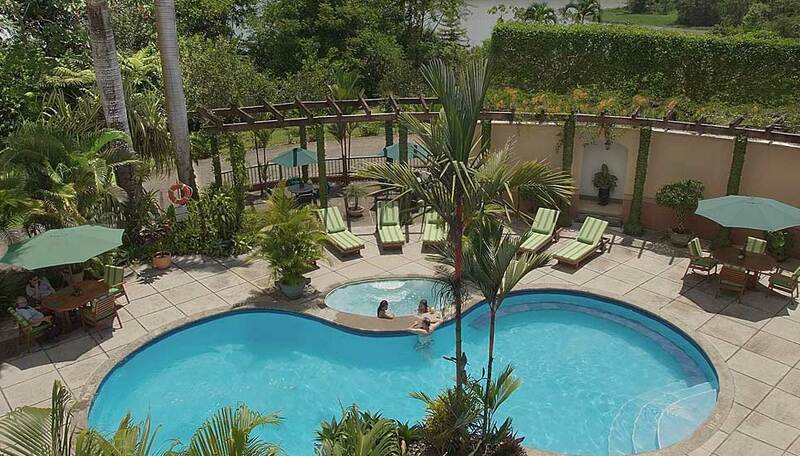 All have direct-dial telephones, safes, and private bathrooms with hot water, hair dryers, satellite plasma TV, ceiling fans and private balconies with fabulous views. Suites There are three suites, all named after exotic flowers. They are furnished with king–size beds and an extra sofa beds. The living areas are expansive and there is a minibar, hair dryer, coffee maker, satellite plasma TV, ceiling fan and air conditioning. The bathroom has a Jacuzzi in the bath and a hydro massage shower. The suites also have a private balcony with wonderful views. Master Suite There is one master suite, built on two levels. The living room is on the lower level along with a bathroom with shower a TV and a balcony with a panoramic view of the hotel entrance. A staircase leads to upstairs bedroom with king-size bed, jacuzzi, mini bar, flat screen TV & DVD, and a private balcony.